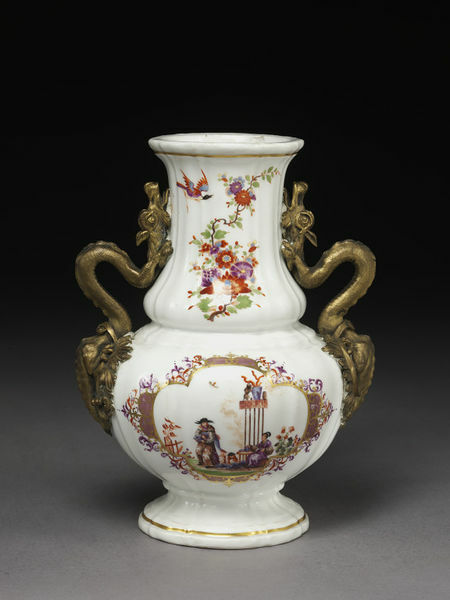 Vase of hard-paste porcelain. Squat baluster shape, moulded with vertical gadroons. 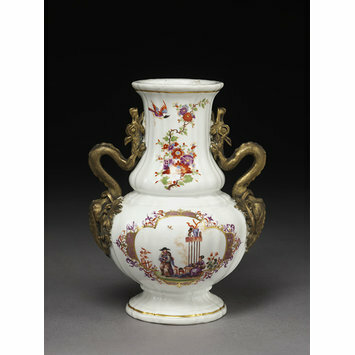 Mounted with gilt bronze handles in the form of dragons with rococo scrolls and foliage. Two chinoiseries in colours in gold frames with gilt scrolls, lustre panels and purple and iron-red laub-und bandelwerk. On the neck sprays of Indian flowers and flying birds.